Dr. Joshua Ziefle was recently promoted to the position of Dean of the College of Ministry. He stepped into his role as dean on July 1, becoming the youngest dean at Northwest University. Ziefle was born in southern New Jersey and attended Houghton College in New York, before going on to attain his Masters of Divinity and Ph.D. in Church History from Princeton Theological Seminary. While working towards his Ph.D., Ziefle was a youth pastor in New Jersey for around six years. When his time as a student and youth minister came to a close, Ziefle began looking for opportunities to teach at a university. He hoped to put his years of study to work, and in his search discovered Northwest University was looking for a Professor of Youth Ministry. 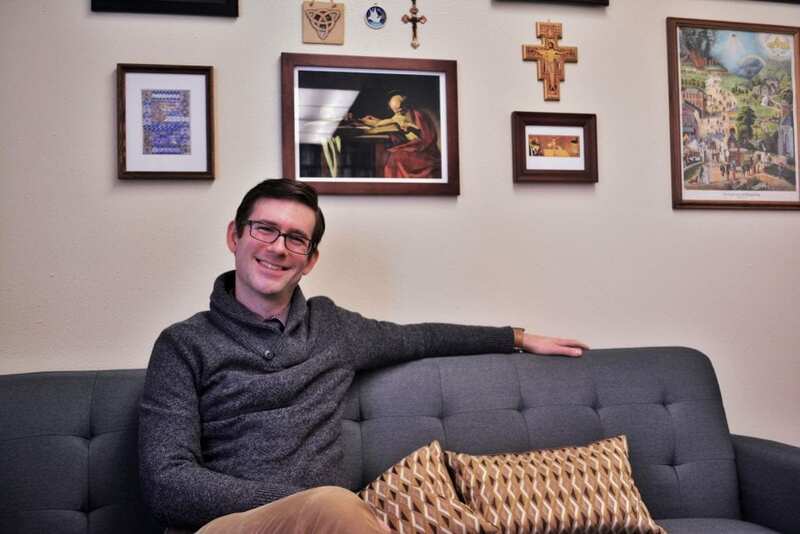 Although youth ministry was not where his passions lay, he thought it would be enjoyable to train future ministers along with the additional opportunity to teach church history classes. He held this position for six years. In the midst of this questioning and unaware of where God was calling him next, Ziefle became aware of Dr. Wayde Goodall’s plan to retire. Dr. Goodall was the Dean of the College of Ministry at the time, and his plan to step down from the position created an opportunity for Ziefle. Ziefle applied for the position and gave it to God. He say he knew it was a competitive process and he had different qualifications to offer than the previous dean. After a long process, he was invited to step into the role of dean. As the youngest person in the College of Ministry, Ziefle aims to bring fresh perspective and goals to the table. “Certainly I do represent a different kind of generation than our outgoing dean,” he said. This is on display with things like a newly created College of Ministry Instagram page (@nucollegeofmin), hopes to start a podcast, and the desire to have College of Ministry social events once a semester. Ziefle has many plans to improve the College of Ministry over the upcoming years, and says he is very excited for this next step in his life. But he notes that the College of Ministry ultimately exists for something larger than itself. “If we wake up one day and we’re not serving the Church, I don’t know what we’re doing in the College of Ministry,” he said.